Apple is about to sign the dotted line on a huge music streaming service agreement with Universal Music Group, if sources are to be believed. Two sources with inside information have said that Apple is planning to launch a web radio similar to Pandora later this year - iRadio, as we're currently calling it - and is currently in the final stages of negotiations. It's also said to be nearing a deal with Warner Music too - all of which corroborates with the previous murmurings we'd heard. Apparently a deal with Universal could be done as early as next week. With the weight of iTunes under its belt, Apple would definitely have the upper hand in the music streaming industry. Especially if it's offering competitive royalty prices to record labels, which sources have claimed it is. This won't just be Pandora in an Apple-shaped box though. Sources state that the service will offer more on-demand features, though exactly what form these will take is currently unknown. 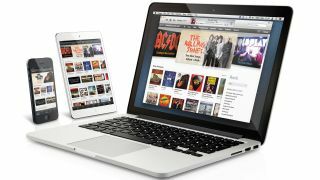 But the idea of being able to download a song from iRadio to iTunes with a single click will no doubt make Apple's streaming service an appealing prospect to both consumers and artists alike.